This juice is not only delicious, its also a percect immune booste. Very nutritive and balance. This recipe is very easy to make. 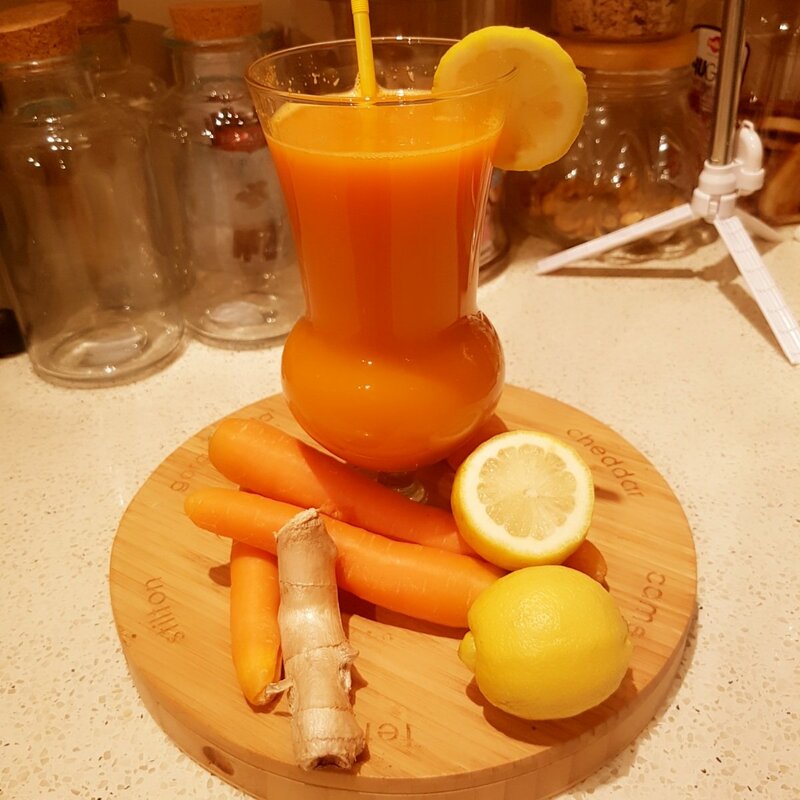 You just need ginger, carrot lemon and honey. 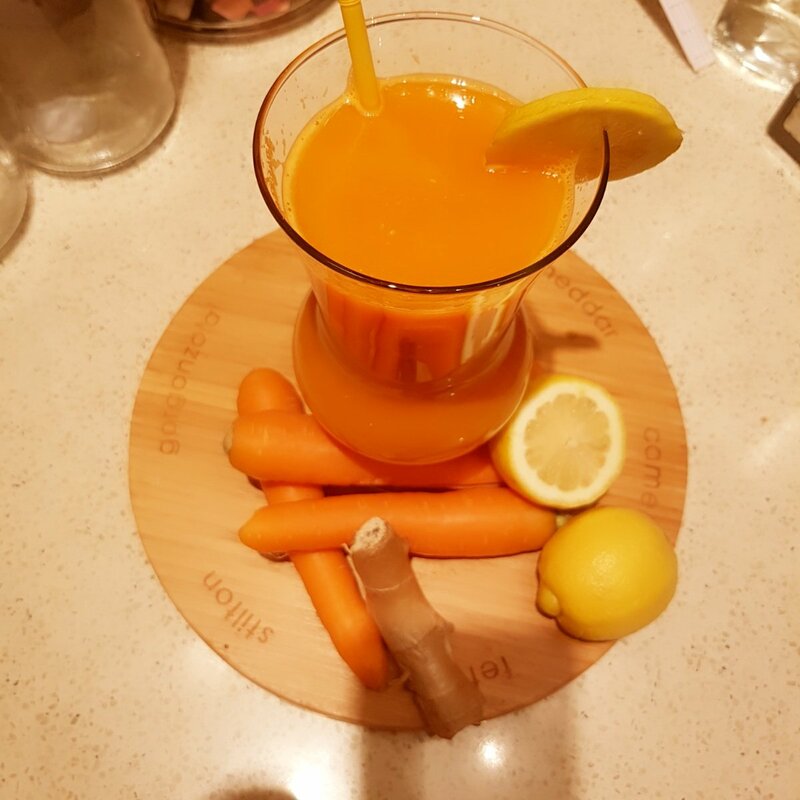 This juice helps you to have a very healthy skin. 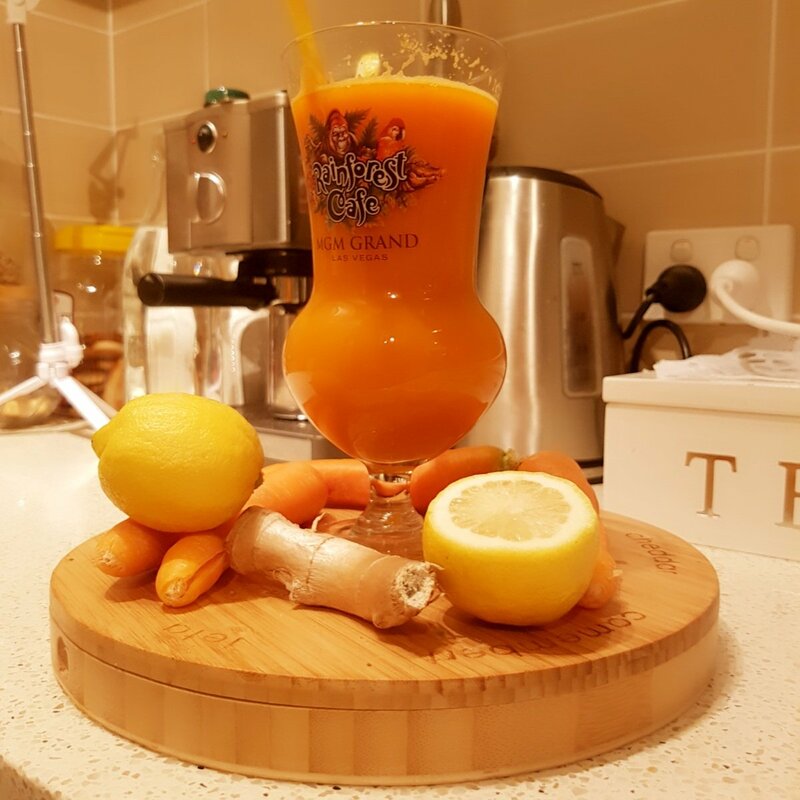 If you have a would that takes lots of time to heal , then you need this juice. It actually keeps your skin strong . Provides you with vitamine C and E . Vitamin E is an antioxidant that naturally protects you frim harmful UV rays. 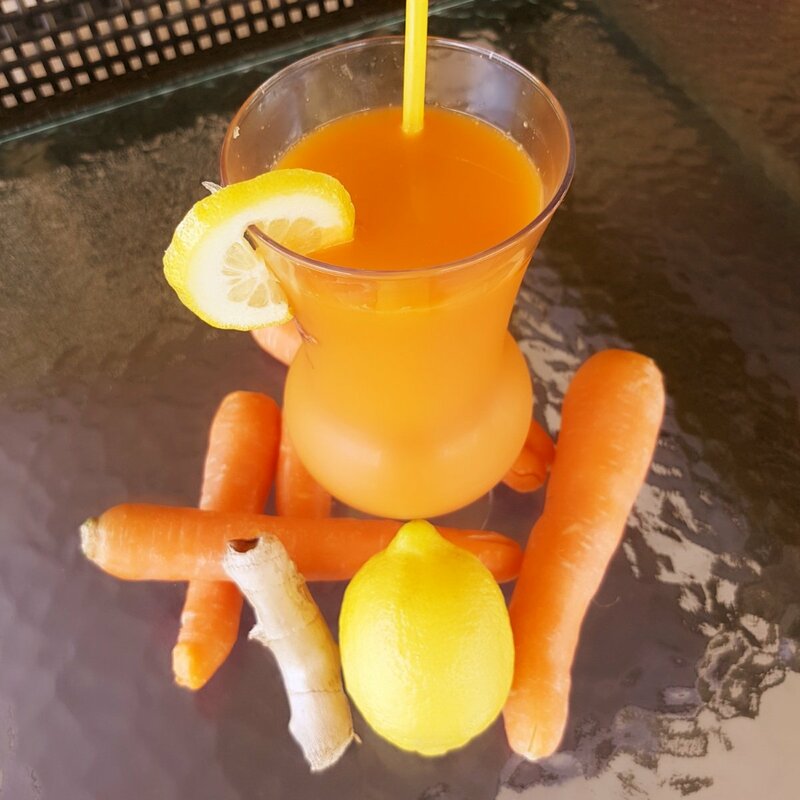 The carrot in this juice contains beta – carotene and a good amount of vitamin A which niurishes the blood and has got a cooling effect. It boast your fruit and vwgetable intake. A good detox or body cleansing. 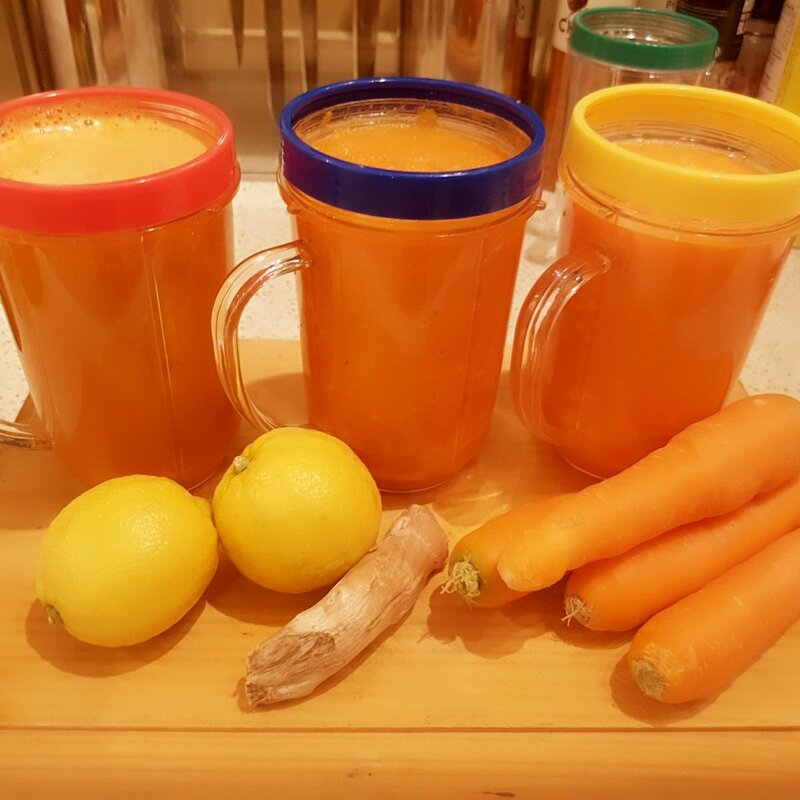 Wash carrots, ginger and lwmin in running water and dry them with a kitchen cloth. Cut carrot and ginger into small pieces. Peel lemon and extract lemon juice. Put in a juicer , add honey or brown sugar and blend until you achieve a smooth puree. Pour through a sieve 3 times and take all pulp out. Serve over ice cubes . I think I need some of this.. Flu is almost killing me. I’d put less honey though.